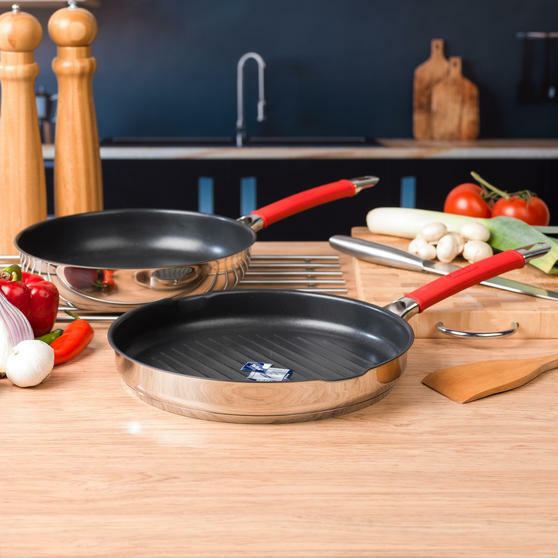 The Pyrex Passion collection features a fantastic range of stainless steel cookware designed for improved home cooking and made to stand the test of time. Perfect for all cooks and abilities, Pyrex Passion pans are not only dishwasher suitable, but oven safe and can even be used on all hob types, including induction. 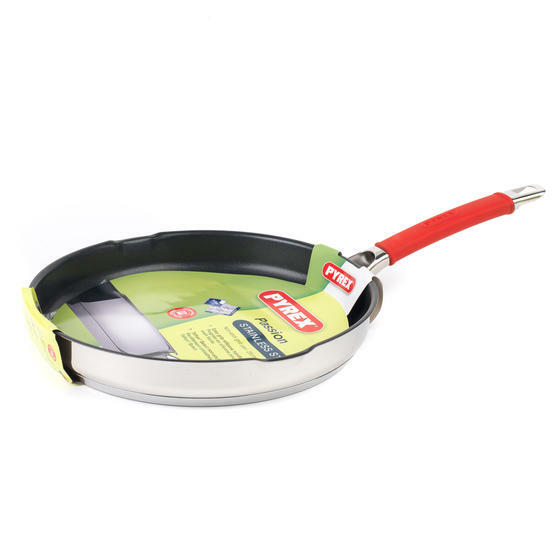 With striking red accents, each handle is coated with soft-grip heat resistant silicone for safe carrying and easy manoeuvrability around busy family kitchens. Enjoy straightforward, professional-style cooking with this quality 26 cm frying pan and 28 cm grill pan from the Pyrex Passion range. 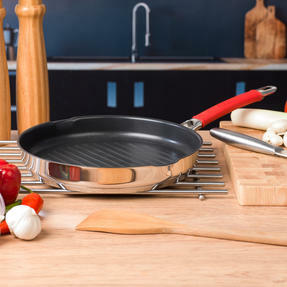 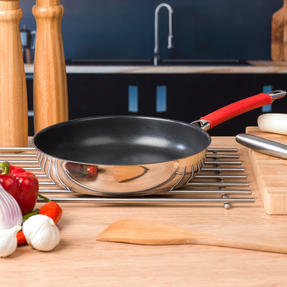 The unique Teflon Select® non-stick coating provides greater longevity and more resistance to abrasion than regular Teflon® coatings. 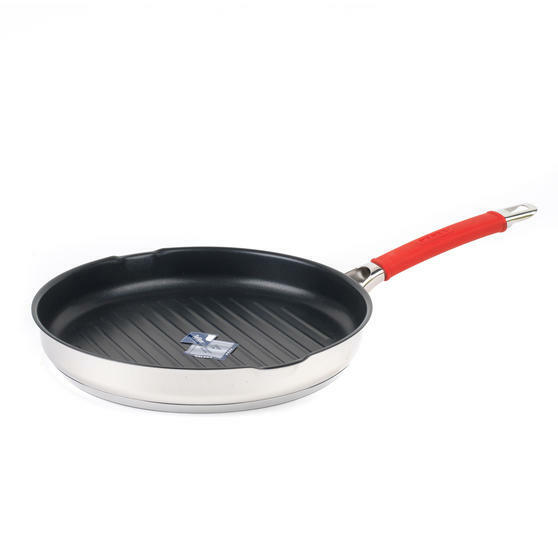 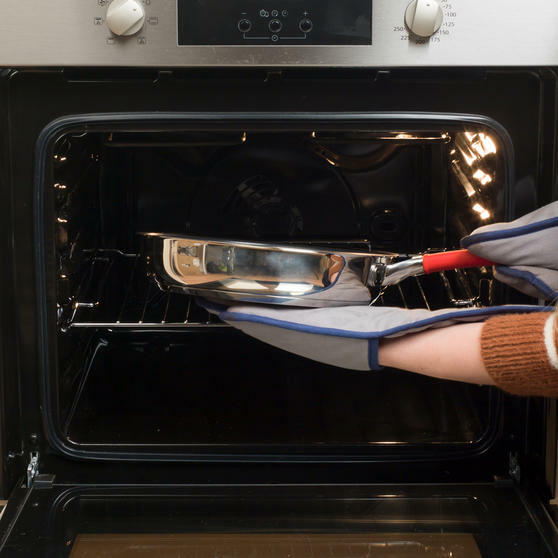 Made from durable stainless steel with silicone soft-grip handles, the pans are designed to be oven safe up to 200°C. 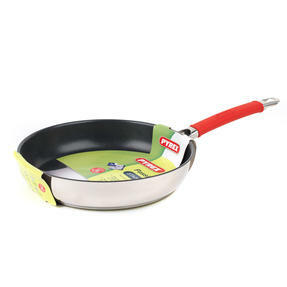 The heat resistant spot welded silicone handles provide a more comfortable grip when carrying or pouring out contents. 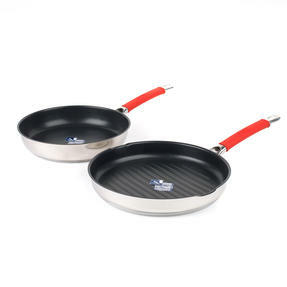 Dishwasher safe for stress-free cleaning, these two pans can conveniently be used on all hob types, including induction.